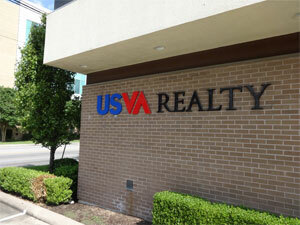 Before USVA Realty was born, we had been helping veterans buy houses for years. We didn’t start out with this as our business plan, but ultimately found a need that wasn’t being met. In 2006, we completed our first VA transaction. A deal that should have taken 45 days, took 3 months. It wasn’t because the buyer was unqualified, it was due to property conditions not meeting VA guidelines. As we searched for advice and guidance from others in real estate, we quickly learned that nobody knew anything about VA. Since then, we have learned that the misinformation and misconceptions about VA transactions are rampant in the real estate and veteran community. At that point, we decided to dedicate ourselves completely to VA buyers using their VA home loan benefits. The more we worked with VA buyers,the more we realized that many veterans weren’t using their benefits because they thought it would be a hassle. These veterans were hearing horror stories from friends, family and their real estate agents about how hard it would be. The problem was, the agents were not knowledgeable to the VA process. This is when we started USVA Realty. In 2011 we began marketing exclusively to veterans and taking them through every step of the process from VA Pre-qualification to closing. We have streamlined the process for VA buyers. It’s not just about having any VA lender and any real estate agent. It’s about having a lender that does only VA loans and real estate agents that are VA specialized Realtors. Having these two things in place will save you a great deal of time and money. Thank you for your service. We look forward to serving you.